Nifty opened strong around 6770 level but profit booking at higher levels saw the market dip below 6700. The responsive buyers came back to lift the market back above 6700 but were unable to close in green with the index closing at 6736.10, a small loss of 16.45 points. The broader market was also weak, with 652 advances to 833 declines. Best support right now is placed at 6600. Call option 6700-7200 added 21.21 lacs huge amount of OI with small short covering seen at 6600 and lower strike prices. Put option 6900-6200 added 45.57 lacs huge amount of OI with small profit booking seen at 6100 and lower strike prices. 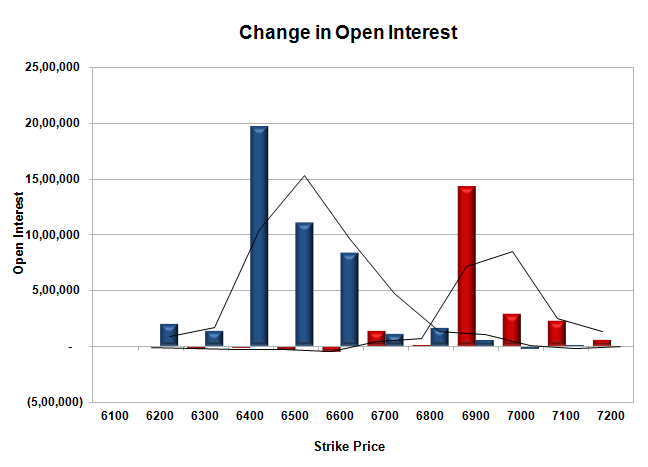 Nifty Open Interest is at 1,71,49,750 down by 1,28,400, with decrease in price, most probably huge long liquidation. Bank Nifty Open Interest is at 15,85,350 down by huge 1,35,200, with decrease in price, most probably huge long liquidation. FII’s sold huge 1.74 lacs Futures, mostly short build-up, as their net OI increased by 79 contracts (includes 38030 longs to 41511 shorts for the day) and the average price per contract comes to around 6719.05. 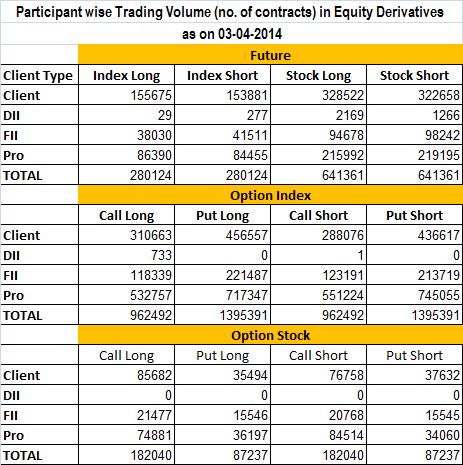 FII’s future open contract as on date is 388614. PCR Open Interest (Volume) has moved up to 1.371. 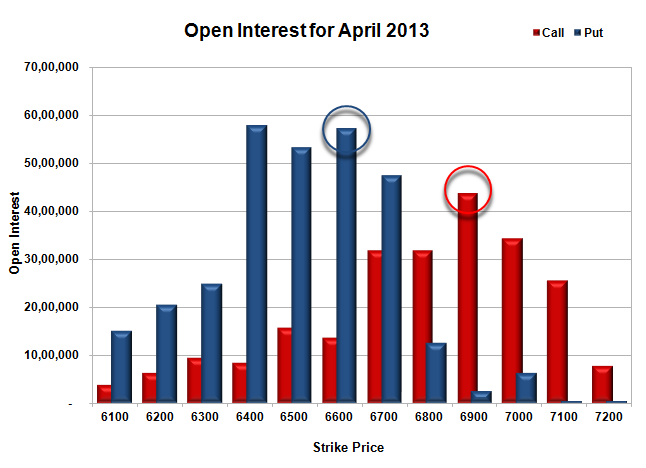 Initial support getting stronger at 6700, with huge OI of 47.55 lacs and below that at 6600 with huge OI of 57.35 lacs. Initial resistance still at 6800, with OI of 31.79 lacs and above that at 6900 with OI of 43.81 lacs. 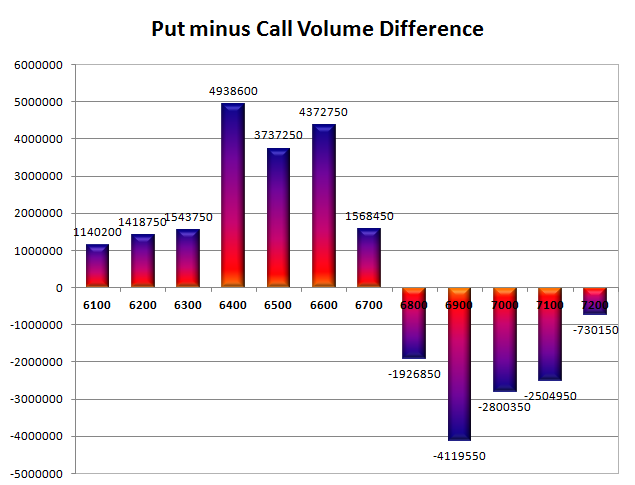 Day Range as per Option Table is 6683 - 6784 and as per VIX is 6658 - 6814 with 6737 as the Pivot.